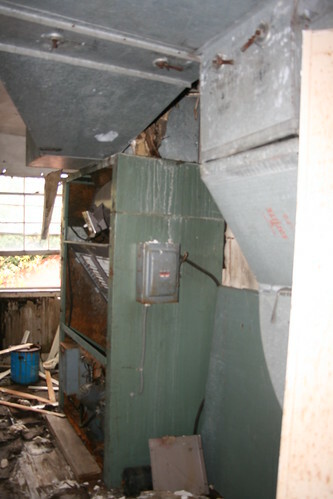 It looked like at some point the innards of the HVAC units had been stripped. After all, this particular building had been sealed off and used only for storage for some time. So it makes sense that if there was a working compressor or blower that it would be moved somewhere else it was actually needed.